This week COLOURS mix comes from Mannheim from one of our favourite artists. The personal data sheet of Alex Flatner is a buzz famous projects, collaborations, labels and worldwide venues while he mostly remains the quiescent gentleman behind the scenes. Meeting him without knowing his remarkable stages of success would rather draw a picture of a congenial guy who has seen quite a lot of places worldwide and is convinced about himself but he rarely points out what he reached so far. To meet Alex is like seeing a long time friend and one would be quite surprised that Alex runs several prosperous labels, works as A&R manager, producer and DJ all over the globe. Flatner’s mode of pure understatement factors out several facts which have to be mentioned talking about a matchless track record in music business: Besides being A&R manager stuff like Harthouse, Plastic City and some more quality essentials and running his own imprints Gedankensport and Circle Music he has a broad ranged output taking course parallel to his full time multitasking business and travels throughout the countries every weekend. He released a fabulous mix CD (World Of Circle) linked with touring through France, India, Spain, Croatia, Germany, Poland and Russia. 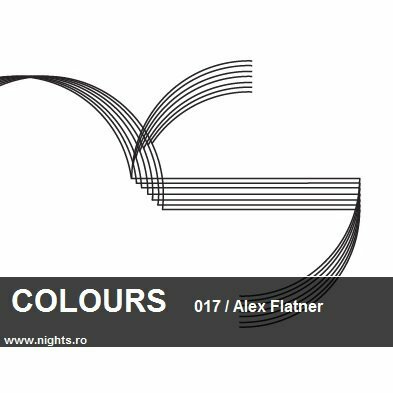 Alex made a great effort signing artists as Sebastien Leger, Robert Babicz Valentino Kanzyani, Joey Beltram, Umek, Leandro Gamez, Bryan Zentz and Gui Boratto for his Circle Music imprint. Being “stage director” and producer he has recently remixed Gui Boratto’s “Atol”, Terry Lee Brown Junior,s "Pulsar" or Steve Lawler's "Almerina", Märtini Brös (High On Heels) , Alejandro Vivanco’s (Vita Jo) cooperates with the likes Lopazz, Anderson Noise, Joey Beltram, Ken Ishii, Santos, Einzelkind, Simon Baker and Reboot. Appeared on Sven Väth “ In the Ninth Season” (Cocoon) or Loco Dice Compilation ”In The Lab" and reached Beatport Top 20! His current projects are the next release with Lopazz on Cocoon Recordings (MakeUpYourMind Remixes) with Jesper Dahlbäck, Steve Lawler, Dave Ellesmere, Sebbo and his next Release at Pokerflat Recordings (Steve Bug’s Label) with Lopazz incl. remixes by Paul Woolford and Wareika!